We know how difficult it can be to take a day and make a trip to Topeka – especially for our friends out west – but nothing speaks to legislators like Kansans walking around the Capitol, and stopping by their offices with concerns. We are asking you to take just one day out of your schedule to make a difference for Kansas education. We will begin by meeting at the information booth on the ground floor of the Capitol. Visit these links for more on directions and parking, and a map of the floors. Download and print our “Guide” to make contacting legislators and finding offices easier. 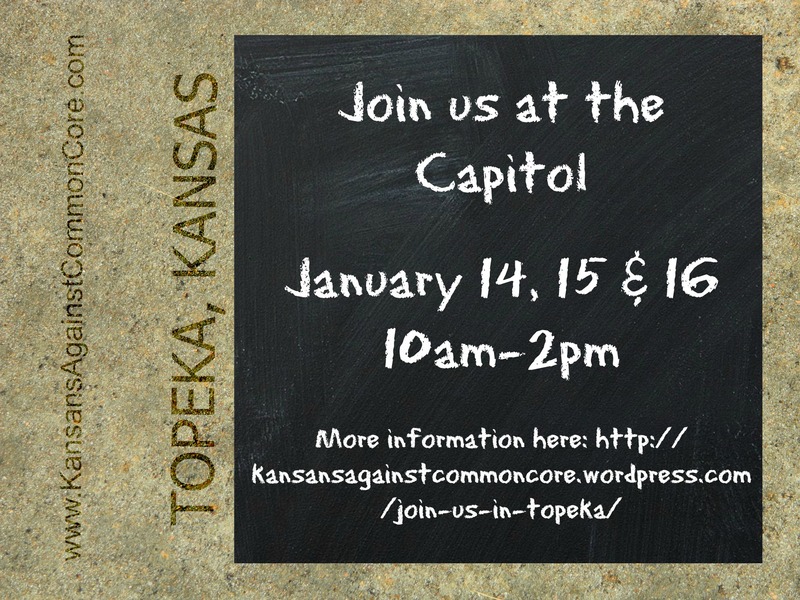 Download, print, sign and deliver (or mail) a letter to Governor Brownback asking for Kansas to withdraw from Common Core. Please remember to include your district number. *Please remember to be courteous and respectful in all forms of communication – and stick with the facts! If you would like more information and resources, this is a good place to start. We still encourage you to pick a day and visit the Capitol in person, and the sooner the better! You can use our guide to easily find the contact information for Leadership, the House Education Committee, and the Senate Education Committee. And don’t forget to visit with the legislators from your own district – maybe even call ahead to schedule a few minutes of their time. Consider taking time to write letters directly to legislators. Send with a friend heading to the Capitol or email us by Sunday, January 12 and we will print and deliver your letter(s) in person. Print, sign and mail a copy of the Letter to the Governor. *Please remember to include your district number.